We offer a wide range of products from a variety of well known companies. This gives our customers peace of mind knowing the products that they purchase are top quality and performance. We Offer FREE No Obligation Quotes, So Call TODAY! We offer HVAC Burlington, NC services for all of your residential and commercial heating and air conditioning needs. 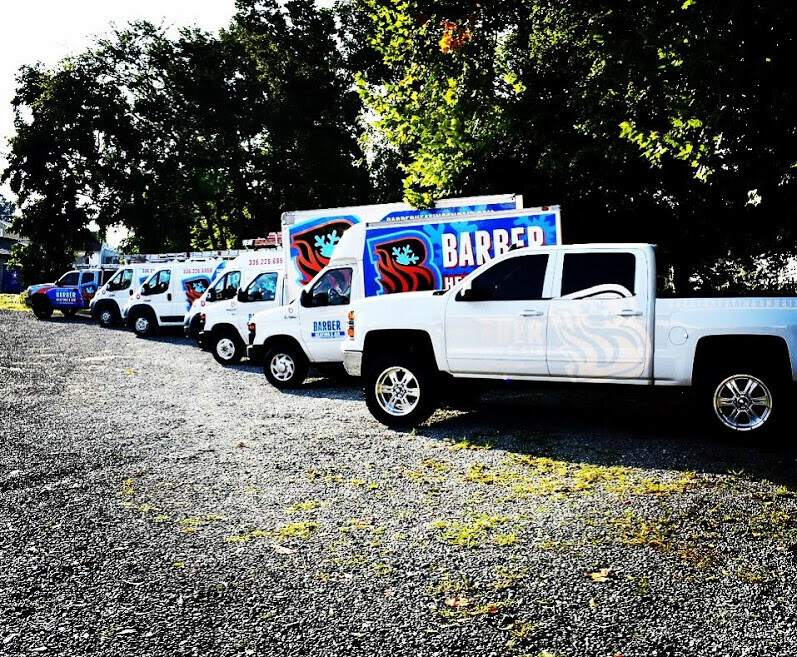 Barber Heating and Air offers 24 hour service 7 days a week with someone always on call ready to serve you. Our promise is that you never talk to an answering machine you always talk to a person. We also have a million dollars worth of liability insurance in case an accident were to occur on the job site. We also have workman’s comp insurance on all of our HVAC Burlington, NC employees. Barber Heating and Air has a priority customer service agreement plan. This gives our customers the opportunity to receive a 15% discount on all parts and labor. Our priority customers will never have to pay overtime or after hour charges. By being a priority customer, you will receive immediate service when you call in. Our HVAC units are something we generally take for granted. Unless it stops working on the hottest day of summer or in the dead of winter, we assume it must be working fine. Most of us may not even know what “HVAC” stands for, and in case you are wondering, it is “Heating, Ventilating, and Air Conditioning.” In reality, our HVAC Burlington, NC units are our allies against energy inefficiency and some of the world’s major health issues. By investing time and care into your HVAC unit, you are investing in improving the air quality around your home or business. Of course, that investment is made easier with HVAC Burlington, NC professionals who are devoted to the installment and maintenance of your HVAC system.